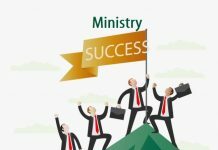 Home Ministry Does Five Fold Ministry Exist Today? I’m often asked: “Frank, do you believe in ‘the five-fold ministry’? And do you believe that God is restoring it today?” In this post, I will attempt to answer that question. 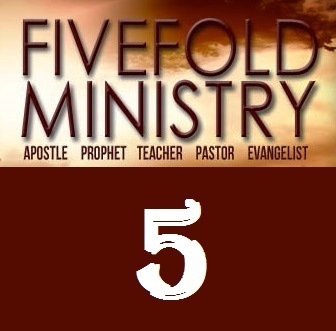 First off, my answer is largely hinged on what one means by “the five-fold ministry.” In other words, what “five-fold ministry” are we talking about? Are we talking about the two-hundred-year old doctrine of the restoration of “the five-fold ministry?” Or are we talking about the ascension gifts that Paul had in mind when he penned Ephesians 4:9–16? In nineteenth-century England, Christians were ripe to embrace apocalyptic prophecies about the coming Millennial Age. The upheaval that the French Revolution produced left God’s people wishing for a reign of peace that would set all things right. In 1824, Edward Irving, a Presbyterian pastor in Scotland, began teaching that “the five-fold ministry” of apostles, prophets, evangelists, pastors and teachers had disappeared from the church and was in need of restoration. According to Irving, the restoration of these ministries would usher in the Millennial Kingdom of Christ on the earth. In 1896, an erstwhile Congregational minister named John Alexander Dowie founded the Christian Catholic Church. In 1901, with five thousand followers, Dowie established the “City of Zion” in north-east Illinois. In 1904, Dowie announced that he had been divinely commissioned to be the “First Apostle.” He then told his followers to anticipate the full restoration of apostolic Christianity. In 1906, the community of believers in the City of Zion began to break down. Dowie passed away the following year. Following the famed Azusa Street revival in 1906 in Los Angeles, California, the emphasis on the restoration of “the five-fold ministry” and “a mighty outpouring of the Holy Spirit just before the return of Christ” reappeared. And a new generation of apostles emerged. Luigi Francescon (“apostle to Italy”), Ivan Voronaev (“apostle to the Slavs”), and T.B. Barratt (“apostle to Europe”) were just some of them. Pentecostal denominations in Wales, New Zealand, Australia, Canada, and the United States elected and ordained colleges of apostles to govern their denominations. As the years rolled on, the restoration of “the five-fold ministry” doctrine somewhat faded. But it reemerged again with a revival spawned at Sharon Orphanage in North Battleford, Saskatchewan, Canada in 1948. The “New Order of the Latter Rain” movement, as it was called, was prophesied to restore “the five-fold ministry” to prepare for “the manifestation of the sons of God” on the earth. But when the waters of revival receded, the restoration of “the five-fold ministry” doctrine faded again until it was resuscitated in the Charismatic Movement of the late 1960s. In the late 70s, the doctrine’s flame began to dim again until a group of men resurrected it with new fervor in the mid-1990s. In 1999, Wagner sought to organize the movement under the name “International Coalition of Apostles” with Wagner as the “Presiding Apostle.” The movement claims to be restoring “the five-fold ministry” today. Point: The doctrine of the restoration of “the five-fold ministry” is over 180 years old. And it’s been repackaged from movement to movement. So is God going to restore “the five-fold ministry”? To my mind, that’s the wrong question. It’s pushing the cart before the horse. The ascension gifts mentioned in Ephesians 4 are gifted people who God gives to the body of Christ as gifts. They are the natural outgrowth and by-product of organic church life. All in all, there are twenty gifts mentioned in the New Testament. If a group of believers gathers around Jesus Christ alone (rather than a doctrine, a theological system, or a ritual)—and they are void of a clergy system—then that group will eventually produce all the gifts and gifted ones that exist within the body of Christ. It’s no mistake that Paul uses the human physical body as an apt image to describe the way the body of Christ functions. When a baby girl is born, most of her physical capabilities are not present. She can’t ride a bicycle, add and subtract numbers, or eat with a fork and knife. However, within her body, she possesses the genetic codes that will produce the physical development by which to carry out these capabilities. If she is fed and nurtured properly, in time, these abilities will naturally develop within her. She will organically grow into them. Why? Because they are organic to her species as a human being. They are the product of human life. What is needed, then, is not a restoration of the so-called “five-fold ministry.” What’s needed is the restoration of organic church life. And that is what God is seeking to restore today as He has in every generation. In the 1980s, I was part of a spontaneous expression of organic church life. Most of us who were gathering at that time came from the Pentecostal/Charismatic tradition. We functioned freely in spiritual gifts as they were modeled to us by that tradition. A number of years later a group whose background was anti-Pentecostal/Charismatic joined us, and we had a first-class dilemma on our hands. After a blood-letting church split, the Lord graciously showed us that both groups needed to lay down their beliefs and practice of spiritual gifts and leave them at the foot of the cross.Though it was difficult, we let our ideas and practice of the gifts go into death. In a year’s time, something remarkable happened. The gifts of the Holy Spirit were resurrected in our gatherings. However, they looked very different from what any of us had ever seen before. The Pentecostal/Charismatic packaging was utterly stripped away. And what was left was a pure expression of the Holy Spirit that glorified, unveiled, and lifted up the Lord Jesus Christ. As a result, the two groups came into a unified experience of the Holy Spirit’s power and work. Consequently, the pressing question is: Are we going to get serious about discovering how to gather around Jesus Christ in an organic way? Or are we going to blithely ignore New Testament principle and for the next two hundred years continue to hope (and prophesy) that “the five-fold ministry” will one day be restored? Authentic apostles, prophets, evangelists, shepherd/teachers are gifted people who grow up in organic churches—not as leaders, but as brethren—equal in status to everyone else in the church. Because they have grown up out of the soil of authentic church life, they have been tested and proven to be safe to the Kingdom of God and to the Lord’s children. Their outstanding landmark is that they glorify, reveal, present, magnify, and bring into clear view the Lord Jesus Christ in unusual depths and practical experience. This is the heritage of the Ephesians 4 ascension gifts. 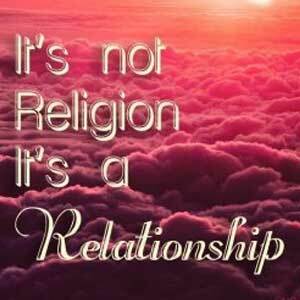 It was true for all the apostles, prophets, evangelists, and shepherds/teachers in the first century. And Jesus Christ has not changed (Heb. 13:8). So what happens when gifted Christians are reared in a human organization built on unbiblical systems rather than growing up naturally in an organic expression of the body of Christ? To put it another way, what happens when a gifted Christian’s only experience is in the modern institutional church? The answer? Mixture with a capital M.
What happens when you remove polar bears out of their natural habitat? If they survive (and some do not), they cannot function as God designed. They lose their ability to reproduce. What happens when lions are caged and domesticated from birth? They lose their predatory and killer instincts. They lose something of the natural functioning with which God wired them. Over the past decade, I’ve met scores of men who were self-proclaimed prophets and apostles. Some were genuinely gifted. Some had the gift of teaching. Others had authentic gifts of healing. Others had a genuine operation of the word of knowledge. But most lacked any real depth in Christ and very little experience in embracing His cross. And few of them grasped God’s eternal purpose or witnessed real, thriving, healthy organic church life. To place my concern into a question, where are the churches that the “new apostles” have planted that are gathering under the headship of Jesus Christ without a clergy, where the members know one another deeply and are experiencing a depth in Christ, where decisions are made by consensus, and where every member functions in the meetings without any man controlling, directing, facilitating, or dominating? 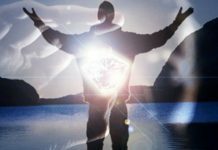 What Are the Ascension Gifts? When the ascension gifts emerge organically in a local assembly, their chief function is to nurture and encourage the believing community toward spiritual maturity in Christ, unity, and every-member functioning. sent by the Lord and by a particular church to plant and equip new churches. Apostles enabled the church by giving it birth, raising it up from the ground. They also helped it walk on its own two feet. Apostles grew up in an organic expression of church life as non-leaders before they were sent out to plant churches of the same kind. In other words, they first experienced what they would later establish elsewhere.And they always left the churches they planted on their own without installing a clergy or religious ritual. Prophets. Prophets were people who had a clear vision of Jesus Christ and who were able to articulate it lucidly. Prophets enabled the church by speaking the present word of the Lord to it. Sometimes their words would simply reveal Christ to encourage, inspire, and comfort. Other times their words would cast spiritual vision. Prophets sought to restore God’s will whenever it had been lost. They sometimes confirmed the gifts and callings of other members and prepared the church for future trials. Evangelists. Evangelists enabled the church by modeling the preaching of the good news to the lost. They were fearless souls who possessed an extraordinary boldness to share Christ with nonbelievers. And they had a genuine passion for the unsaved. The closest equivalent to an evangelist today is a natural-born salesman (an honest one of course). Shepherd/teachers. Shepherd/teachers are two sides of the same gift. In Ephesians 4:11, the apostles, prophets, and evangelists are mentioned separately, while shepherds and teachers are joined together. Further, the first three ministries (apostles, prophets, and evangelists) are preceded by the word “some.” But the word “some” is attached to shepherds and teachers together. This indicates that shepherds/teachers are one gift. The chief task of the shepherds/teachers was to help the church in times of personal crisis (shepherding) and to enlighten and cultivate the church’s spiritual life by revealing Christ through the exposition of Scripture (teaching). Shepherding was the private side of their ministry; teaching was the public side. 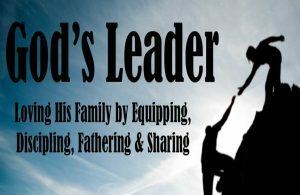 The closest equivalent to a first-century shepherd/elder is a modern-day Christian counselor who is capable of teaching. None of the ascension gifts dominated the meetings of the church. They were simply brothers and sisters in the body carrying out certain functions. 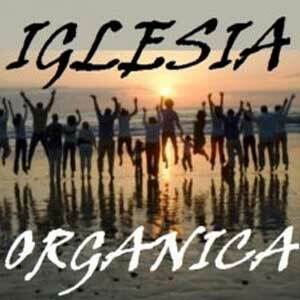 Every other member functioned in the gatherings and in the community-life of the church. In that connection, you would never see a first-century Christian sporting titles like “Apostle Delaquarius Epps,” “Prophetess Pamela Jones,” or “Evangelist Tarianna Dunson.” As I’ve established elsewhere, the use of honorific titles and offices were unknown to the early Christians. 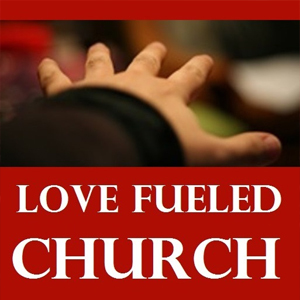 The burden of my heart is to see God’s people far less concerned with a “five-fold ministry” that’s supposed to be recovered someday and instead, focus their attention on discovering what the church is supposed to be according to the mind of God. Upon making this discovery, the Lord’s dear people will be faced with a decision. To answer the call of meeting around Jesus Christ alone in the way that He has prescribed. Or to remain chained to the unmovable traditions of men. If the former path is taken, it will involve considerable cost. But all the giftings in Christ will eventually come forth in the way that He has designed organically. And those gifts will never usurp or dilute the ministry of the entire body. Would to God that all men and women who feel called to be apostles, prophets, evangelists, and shepherds/teachers would soberly reexamine what these ministries were in the first century and in the thought of God. I believe that when this happens, many of them will be led into brand new directions. And those directions will undoubtedly lead them to break with cherished traditions and popular concepts. Yet only by these elements will the house of God begin to be restored on a broad scale.